The Path of Modus is a game that is all about bullying and where words destroy all. Today we see a new trailer arrive – and this gives a decent insight into how the various features will be included. 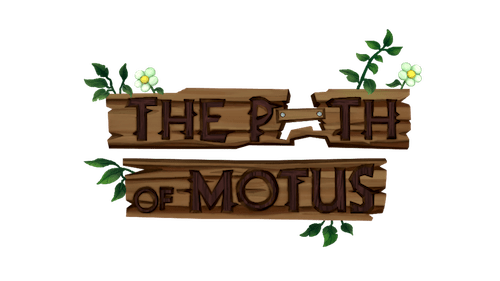 Due to arrive on Xbox One, PS4 and PC later this year, The path of Motus features a young goblin, Motus, who takes on a journey to rebuild bridges through a forest that his village is trapped in. He will however find that his perseverance is soon tested, as he meets bullies that use their own words to stop him. The new trailer seen below focuses on several new features, including a new character in the story: Motus’ father. It was at 6 years old, that Motus’ attempt at bridge building is belittled by his father, who proclaims his creations as a “waste of time” and “unrealistic.” As the story progresses, Motus will gradually grow into an adult and discover the deeper reasons for his father’s actions. This complicated father-son relationship is one of many opportunities where players can explore the motivations of others. “In a time where bullying is on the rise, I designed this game to teach both resilience and empathy. I want players to understand how it feels to be bullied, and explore ways of dealing with it through gameplay”, explains game designer Michael Hicks. Much of that found in The Path of Motus stem from Hicks’ own experiences with bullying, ironically enabling him to teach himself to make video games, allowing for an outlet to deal with it. On top of the game’s message, he hopes to give back in other ways: “I’ve started a Youtube channel where I show people how to make their own games. At the end of my video series, viewers will make their own video game that can be released on PC and consoles!” You can find these videos on The Path of Motus website. You can check out the trailer below, but if you are heading to PAX East then you should pop on by to meet Michael and give The Path of Motus a little play. Indie Minibooth (booth #17070) will be able to sort you out.